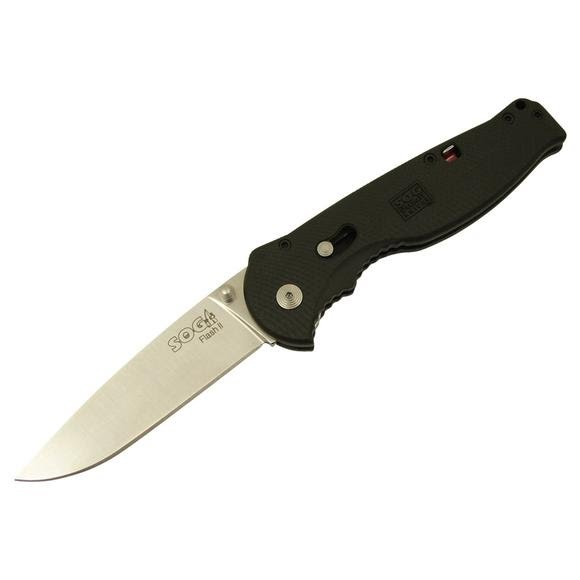 High performance meets style with the Flash II Folding Blade from Sog. This blade features wicked-quick blade access, handles like a race car on rails, or that it locks up like Alcatraz. The Flash II is designed with reversible bayonet mounted clip that ensures the lowest, most discreet carry possible.